The size of the test patches will depend on the subject matter, but as a guide they should be from 75 x 75mm up to 300 x 300mm. Apply Peelaway paste graded from 1mm to 6mm thick according to the age and thickness of the coating (e.g 1mm when removing a thin layer of varnish but possibly up to 6mm where there are multiple layers of thick paint). Place the Peelaway laminated blanket (print side out) on to the paste. Rub gently to remove air, pierce bubbles where necessary. Allow to stand from 2 to 48 hours, again this will be determined by the paint/coating type and thickness/number of layers. 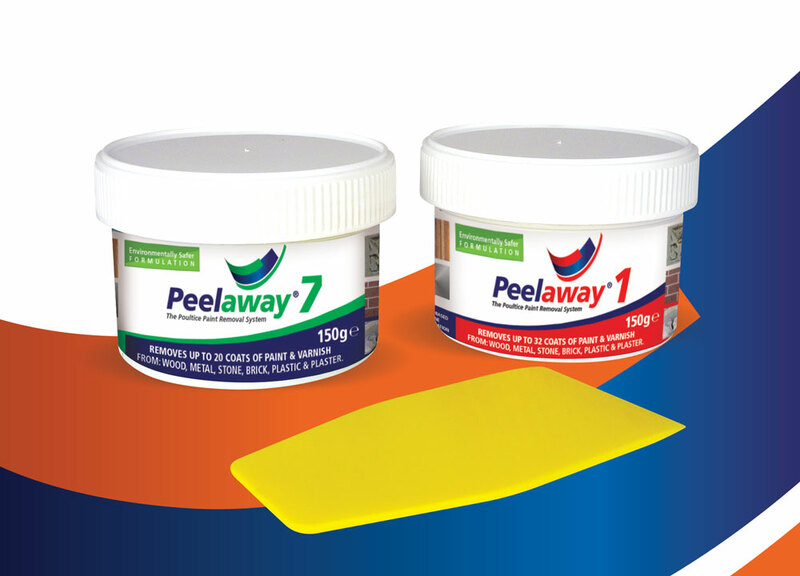 When using Peelaway 1® to remove heavy paint build up over plaster mouldings you may need to leave even longer (up to 72 hours) and this can often aid the drying out process which encourages the old paint and blanket to lift away from the substrate being treated to complete the stripping process. Once the correct paste and timing for the project has been established together with the thickness required, the designated paste should be applied, the poultice cover laid over the paste and left for the time indicated by the test patch. Full instructions are on the containers. Each project can potentially give different results and this is why it is imperative to carry out Test Patches. Leaving on for not long enough could mean the process has not completed. Leaving on too long could damage the substrate or you may find the Peelaway blanket and paste becomes too hard and difficult to clean up.